Paul R. Philbrook was appointed Commissioner in 1980 and re-established stability to the Department. Charles A. Bristow became Commissioner on July 1, 1984, followed by Commissioner A. James Walton, Jr. on June 1, 1986. 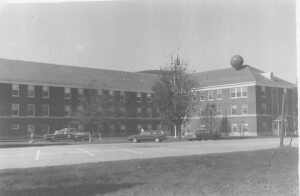 Headquarters moved to the Waterbury Complex from Montpelier in the Spring of 1983. The Communications Division had designed and installed a statewide microwave and telecommunications system. These services were provided by the Department in support of all state agencies. In late 1987 the Department was selected to administer a drug control and systems improvement grant from the federal government. This grant funded the first multi-jurisdictional drug task force in Vermont. The State Police transferred the Special Investigations Unit drug investigators into a new task force with a number of local departments supplying full time investigators. Technological advances incorporated by the Department allowed conversion to infrared driving while intoxicated (DWI) processing equipment, establish a DNA analysis capability in the forensic laboratory and install a computer aided dispatch (CAD) records management system.